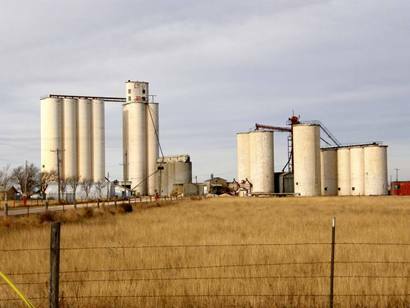 The town got its start in the mid 1890s when rancher S. G. Umbarger leased land here from the railroad (the Houston and Great Northern). He liked it so much he bought it two years later and opened several business to cater to freshly arrived settlers. The Panhandle and Santa Fe Railway established a switch near Umbarger’s ranch in 1898. Umbarger (the man) sold out and moved away to Canyon, Texas, but since that was a mere 10 miles away, his name remained solidly in place. 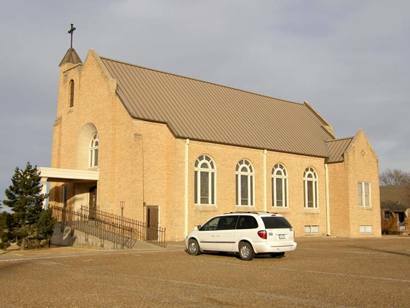 In 1902 a small group of German Catholics transmigrated from Fayette County, adding much-needed growth. A general store/ post office opened and a school district was established in 1904. 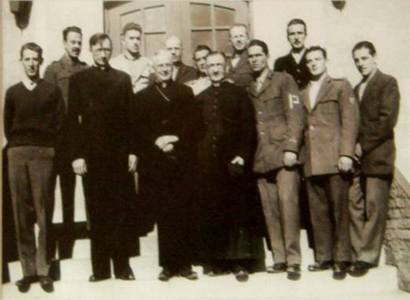 Between 1902 and 1910 Father Joseph Reisdorff, a Catholic missionary, worked hard to attract other German Catholic settlers. 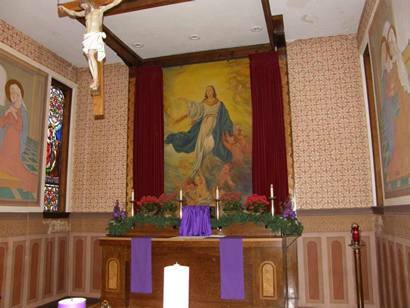 Friction developed between Father Reisdorff and John Hutson, another town founder and as a result, the town had two separate Catholic churches built. The population was bolstered somewhat by Swiss immigrants who settled here from 1911 through the 1920s but the town remained under-populated. From 18 residents in 1920, and only 80 by 1930, it reached 150 on the eve of WWII. 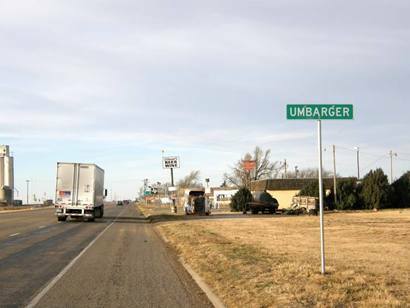 The town's proximity to Canyon and Amarillo may have helped Umbarger survive, but it may also have affected its growth. The 1984 population was given as 327 – the same number used on the 2008 state map.